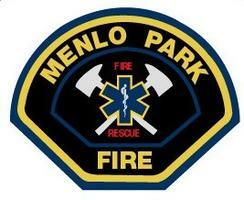 This is a FREE seminar, sponsored by Menlo Park Fire District and hosted at the US Geological Survey in Menlo Park. We will cover the basics of risk assessment, preparedness objectives, assembling disaster supplies and best practices in responding to a disaster. Register online. Half and full day activities for kids ages 5-11 all summer long. Theme: "Reimagine Resilience: Tools and Types"
Join millions of others worldwide on Thursday, October 20 at 10:20 AM, and practice how to Drop, Cover, and Hold On! Register now and participate in this annual drill to improve preparedness for you and your family. How to participate and prepare. The Earthquake Country Alliance (ECA) is a public-private partnership of people, organizations, and regional alliances that work together to improve preparedness, mitigation, and resiliency. Temblor is an app that provides personal seismic hazard and risk assessment at your location. Visualize nearby hazards, such as faults and landslides, and learn what the likely cost is for earthquake damage. Background and mitigation options for the seawall, which was constructed over 100 years ago. “GET READY” to Be Prepared! Menlo Park Fire and USGS hosted the “GET READY” to Be Prepared! training class in the Rambo Auditorium at USGS in Menlo Park. Watch a video of the event online. Our members include: scientists and engineers; non-profit organization and business leaders; community groups and activists; federal, state, and local government leaders and agencies; and others who share our passion to reduce earthquake risk in California. Join us today. The California Earthquake Clearinghouse is a place to coordinate earthquake field investigations and share observations and knowledge among emergency responders and the engineering and scientific communities.